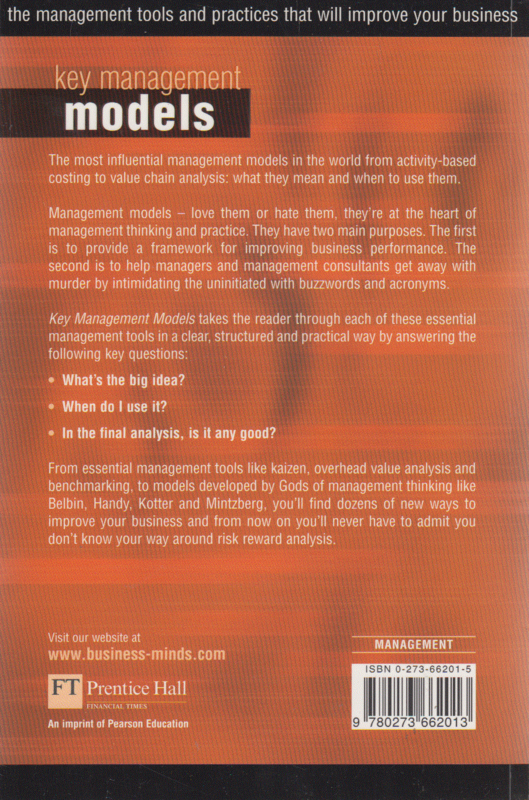 Management models - love them or hate them, they're at the heart of management thinking and practice. They have two main purposes: to provide a framework for improving business performance; and to confuse the uninitiated with buzzwords and acronyms. You've heard of balanced scorecards, CRM, just-in-time and SWOT? How about the Deming cycle, parenting advantage or socio-technical organizations? Even if you have, can you describe them clearly and do you know how you can use them in your business?Key Management Models takes the reader through each of the essential management tools in a clear, structured and practical way. 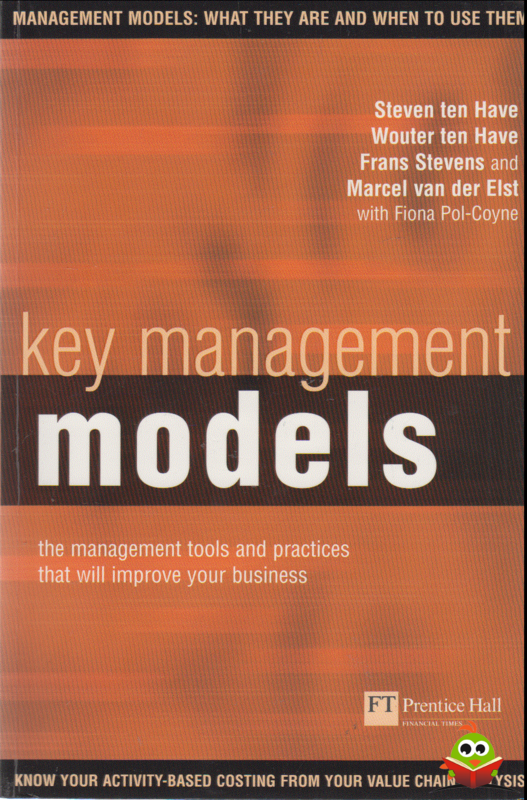 It provides comprehensive coverage of the main tools, and of the models developed by the Gods of management thinking: Belbin, Handy, Kotter and Mintzberg. Lichte leessporen tot pagina 53. Verder oogt het boek ongelezen. Er is niet in geschreven of gevouwen. Geen breuklijn op de rug. De achterflap van de kaft heeft een vouw, is gebruikt als bladwijzer op pag 53. PostNL aan huis: Vandaag besteld, maandag verzonden met PostNL.